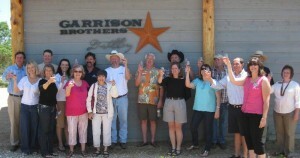 Garrison Brothers Distillery is now offering their “Sit and Sip Tour”, Wednesday through Sunday, 10am or 2pm, for only $10.00 per person. Located in Hye, 1.7 miles out on Hye Albert Road, off of 290 East and RR 1623. For more information, please visit www.garrisonbros.com.